Հոդացավերի պատճառով կյանքի վերջին տարիներին Ռենուարը գամված էր հաշմանդամի սայլակին։ Երբ վերջնականապես թուլացել էին նրա մատները, նկարչի խնդրանքով մատիտը կապել են ձեռքին, և նա շարունակել է նկարել, ինչի հետ կապված կատակել է. ↑ 1,0 1,1 1,2 1,3 1,4 German National Library, Berlin State Library, Bavarian State Library et al. Record #118599755 // Gemeinsame Normdatei — 2012—2016. 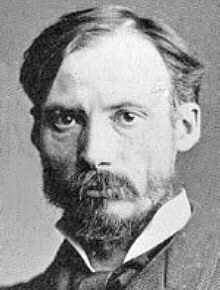 ↑ 4,0 4,1 Pierre Auguste Renoir — ministère de la Culture. ↑ 11,0 11,1 11,2 Renoir, Auguste // The Enciclopædia Britannicа — 12 — London, New York City: 1922. — Vol. XXXII Pacific Ocean Islands to Zuloaga. — P. 268.